A pocket-friendly stay with cozy appearing rooms and a bar. 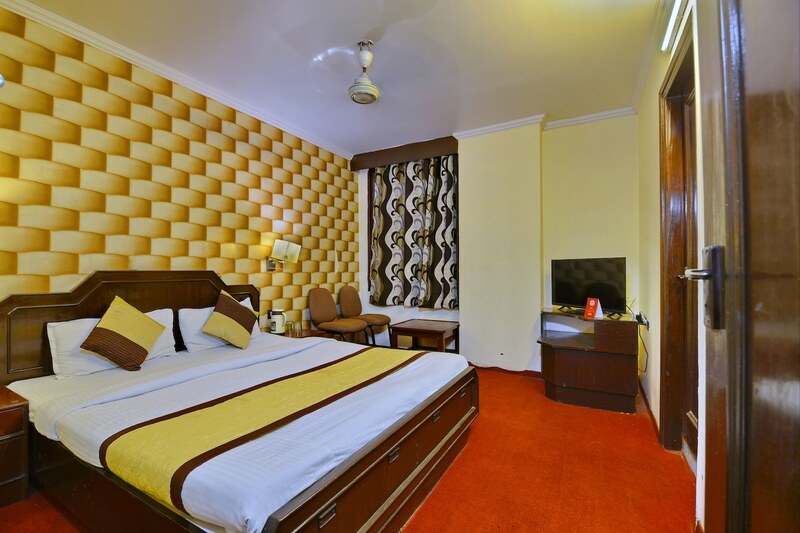 Hotel Mahairani Prime displays fine appearance of style with finely decorated interiors and simple furnishing. The hotel has a simple and modern look to it with a hint of Mughal influence with motif ceiling decor and carved building. The rooms are spacious, bright and well-designed with fine and modern pieces of furniture. The guests can avail the facility of free Wi-Fi to stay connected with the internet. Other facilities that the hotel offers include card payment options, CCTV cameras, an elevator, power backup and parking space. The bar is open for travelers to have a relaxing time at the property. Various restaurants nearby serve delightful treats. Raj Mandir Cinema, Ramniwas Bagh and Birla Auditorium are among the few tourist attractions in the place.